Image 6874010: Beautiful greeting card with leaves. 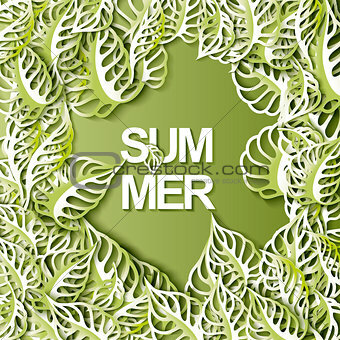 Image Description: Beautiful summer greeting card with leaves. Vector illustration. Typographic template for your text. Paper cut leaf with shadows.